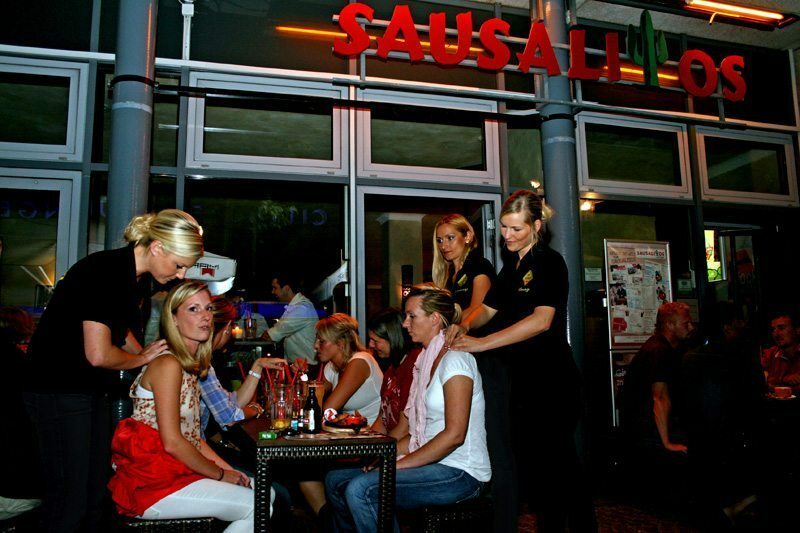 We are looking for regular massage promoters to work in the trendy bars and lounges. You should be young at heart and young, outgoing and personable and already have experience in the sampling. You love to people, like going into bars and lounges and are ready once or several times at night to work per week for 4 to 5 hours? You are friendly and fits of course optically into the respective Bar Scene? Ready to join the neckattack© Team? The Running Massage (Bar-massage) was born in 2002 in Australia. 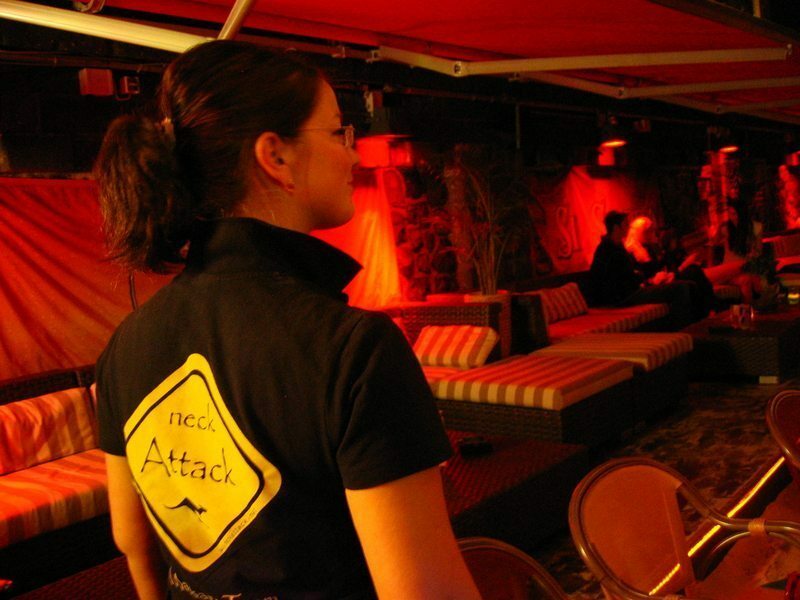 Since 2004, neckattack® Bar-massage, and now with over 500 massage therapists (m / w) Germany-wide. Running Massage is a combination of promotional massage and ultra-short-massage – is performed at full clothing – of course. The Running massage works in the shoulders and neck and takes 5 minutes, wherever the customer is sitting – on the bar stools, the sofa or at the table. You can get a free, professional training and familiarization of our physical therapists on site. 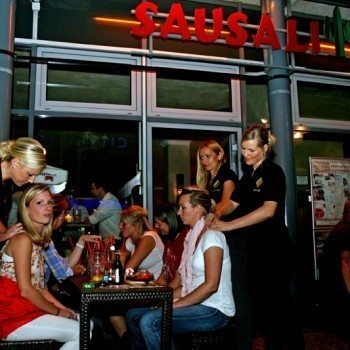 Then you can pamper our customers and relax. After a first trial day on which the City Manager you or a seasoned employee incorporating conscientious of neckattack®, you have to meet on 2 evenings the possibility of our concept and our company. During this time we will try best to integrate you into the team. Our massage promoter earn on average about € 60, – to € 80, – per night, good promoters manage to over € 100, very good even at over € 200, – in four hours. You work independently, need a business license or a tax number (depending on the respective city on). Your money you get paid out in the evening in a bar. Working hours are in the evening and at night 20:00 to 1:00 clock, usually from Wednesday to Saturday. You can two in one week to four times-work flexibly and regularly and are always in a team on the way. 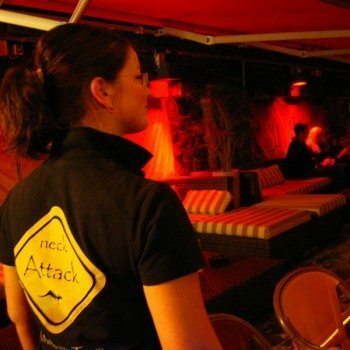 You’re wearing a black polo shirt with yellow NeckAttack® logo and work with your partner on a specific tour for 4-5 hours. This tour consists of four to six bars and Gastros who are informed and you already expect. In addition, you can also join us full time. For this purpose you visited our training and learns to perform mobile massage on the massage chair.